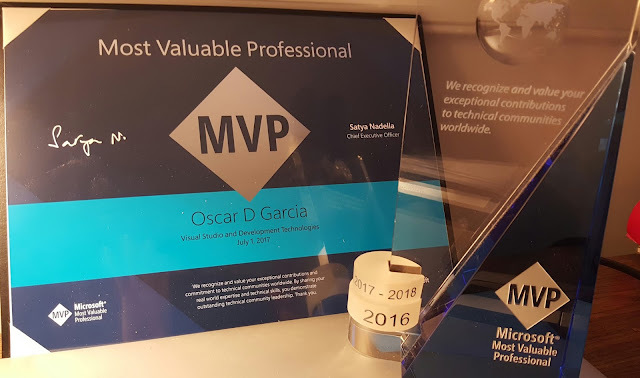 On July 2017, I was proud to receive my second Microsoft Most Valuable Professional (MVP) award. This year the award came in earlier than expected, as the Microsoft MVP program decided to grant these awards once a year moving forward. This is rewarding recognition that makes all the on-going work that I do for the different software communities around the world worth it. I enjoy knowing that what I learn and share with others has some meaningful value. My plans for the next year is to continue to learn and share with others by writing blogs entries, deliver more presentations and help on different technical forums like Stackoverflow, ASP.NET, GitHub, Twitter and CodeProject. On the technology side, I plan to continue the grow on areas like Angular 2, Node.js, Azure Technologies, SQL Server, NoSQL, ASP.Net , Visual Studio, and Microsoft Core technologies to expand my areas into the Linux world. Thanks again to Microsoft and those working the MVP program as well as the community that enjoy and support my contributions. To convert those rows to columns, we need to use the PIVOT relational operator which enables us to convert the table results into a different shape. Let’s write a SQL query that can do that for us. 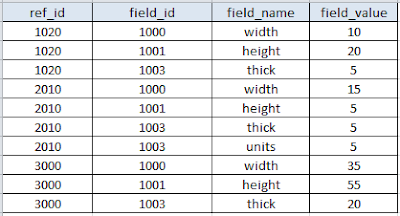 The syntax may not be clear at first, but the query pivots the data on the field_name (FOR Expression) values, so that they become the column heading. 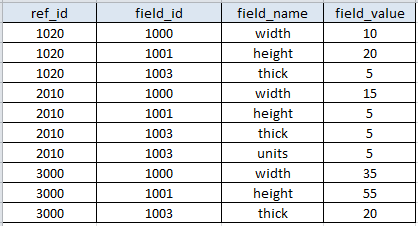 This matches the meta-data in the field_name column, so we can read the field value using the MAX function. When a field_name does not exist for a particular row, the return value is null. For example, both ref_ids (1020, 3000) do not have a units custom field. 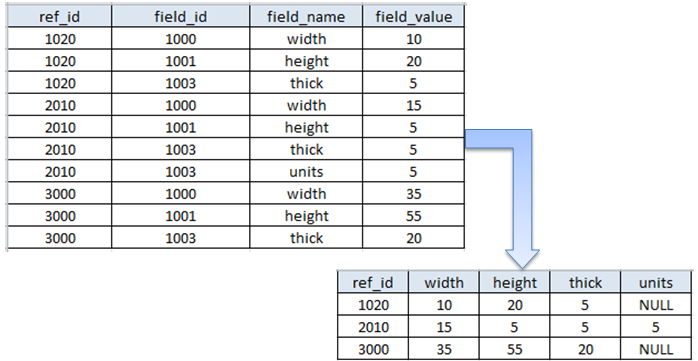 This should enable us to make more complex pivot queries using SQL Server.